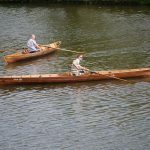 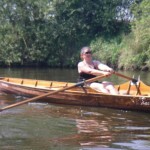 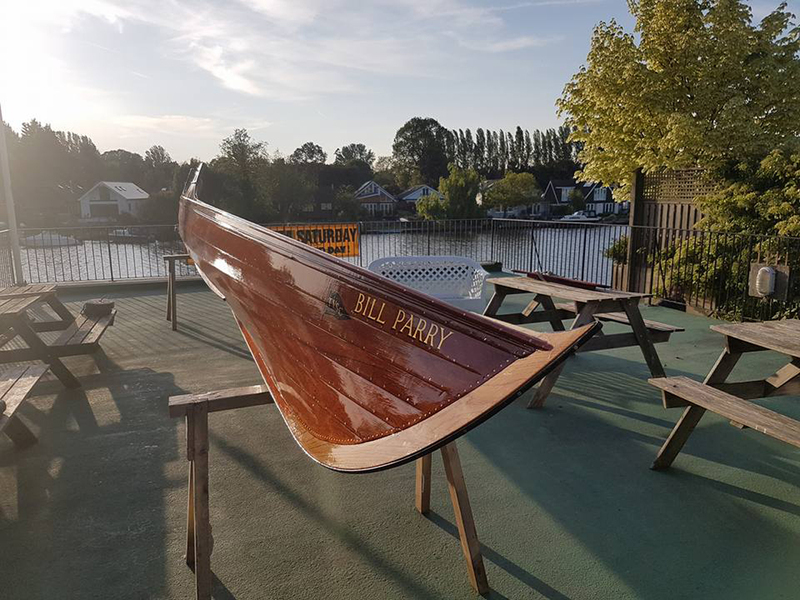 Skiffs are hand-crafted, traditional timber racing boats, with fixed wooden seats, designed for either one or two rowers. 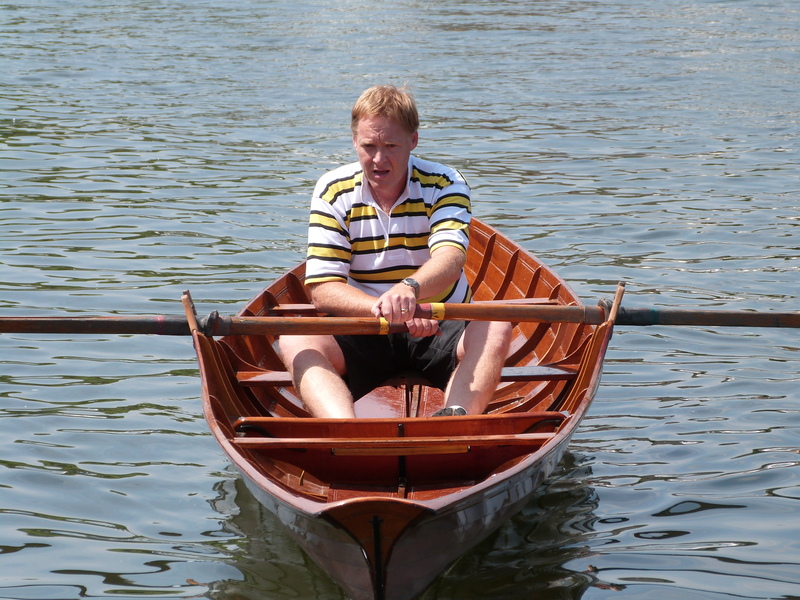 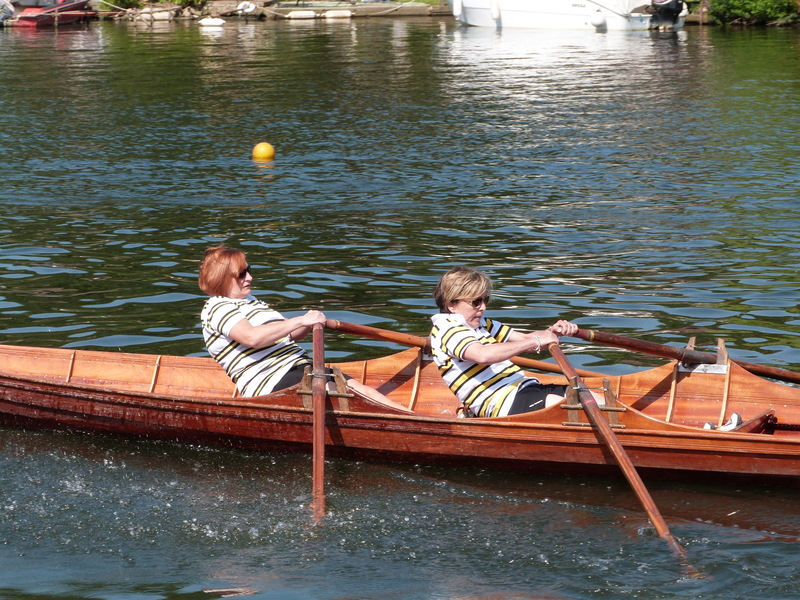 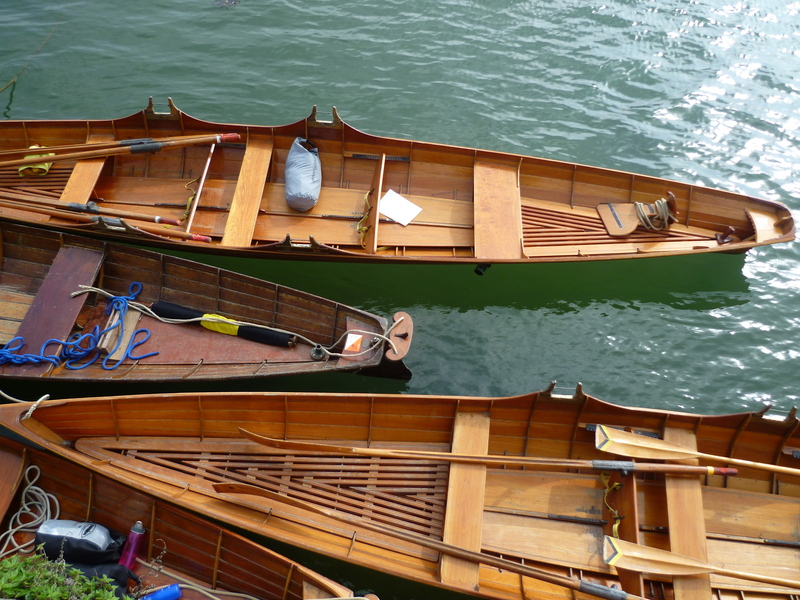 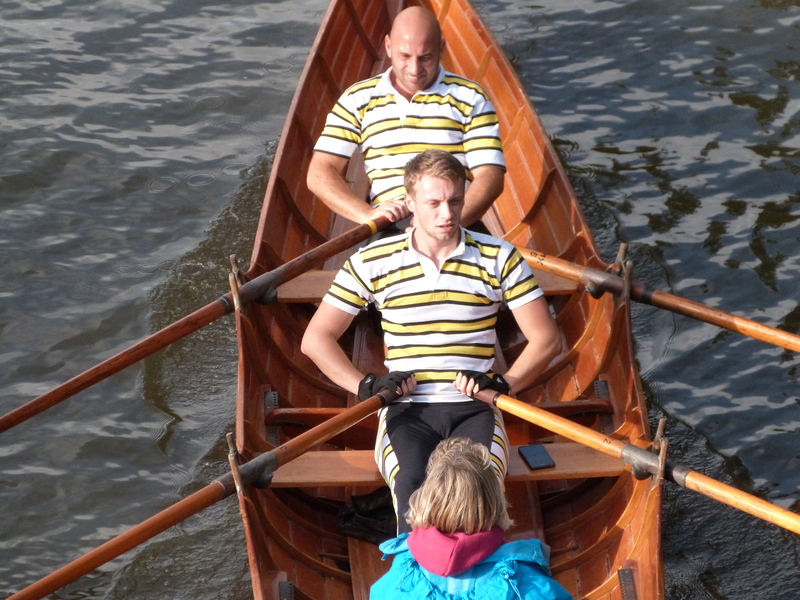 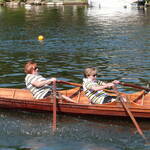 Skiffs were originally used in the time of Henry VIII as a water taxi. 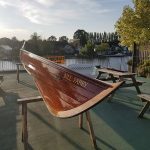 By Victorian times the pleasure skiff was introduced; these skiffs came with a tent cover and movable seats and could be used to camp whilst travelling up and down the Thames. 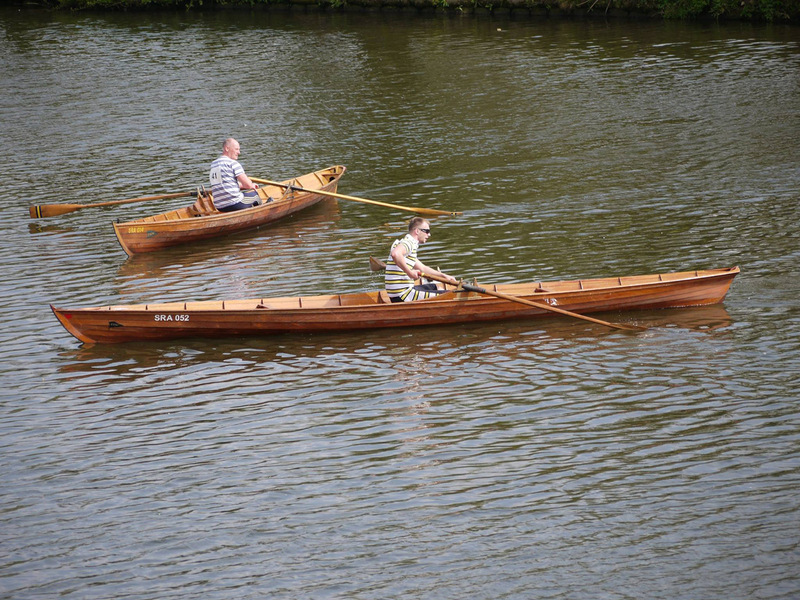 The Skiff Racing Association (SRA) was established in 1901 and skiff racing introduced. 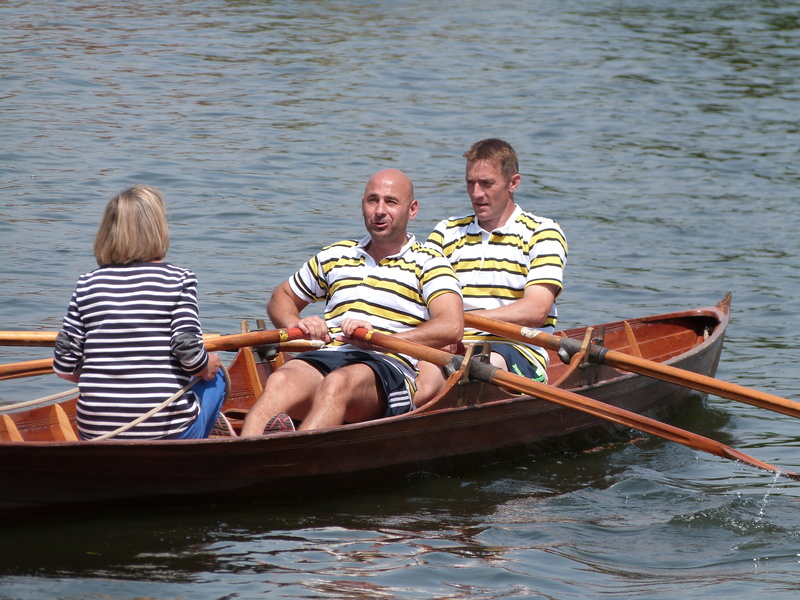 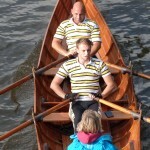 Racing skiffs can be either singles and doubles, the latter needing two crew members and a cox. 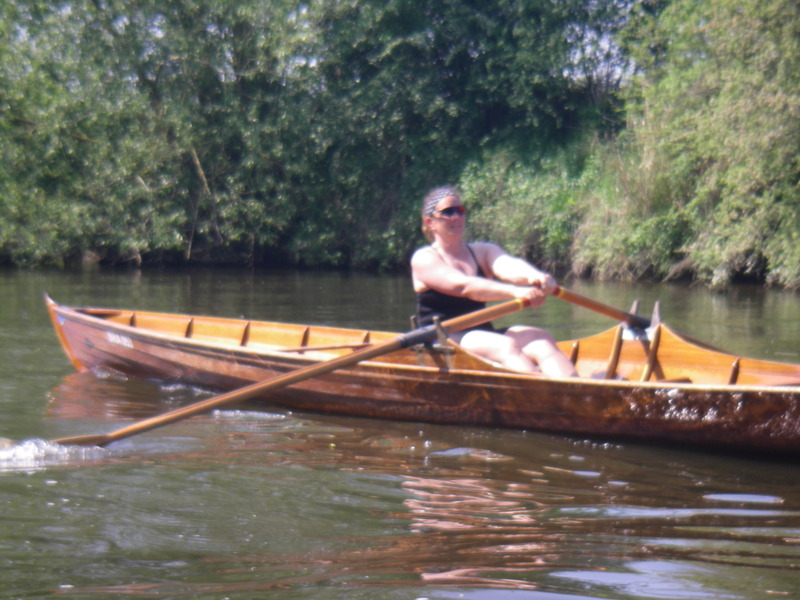 Side by side sprint races are normally held over distances between 500 and 1000 meters and take between 3 and 6 minute. 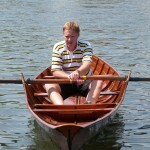 Marathons are processional races over much longer courses and take around 35 minutes. 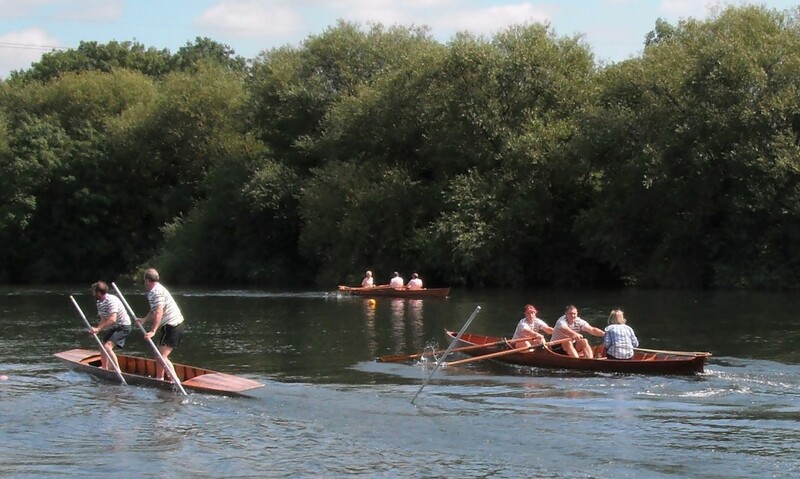 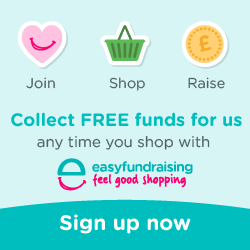 Most regattas have events for all the family to join in after the serious racing is over. 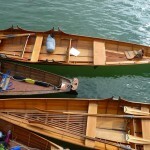 There is usually a party or barbeque in the evening after the regatta in addition to a lively social calendar.